Peonies over at Peonies and Poloroids, which I follow religiously, tagged her entire readership for this meme. 1. Great portrait of a woman whose name is apparently the same as mine. 3. H-H has had some great athletes, including this pole vaulter! 10. Friends. Family. Quiet time with Boy. 12. 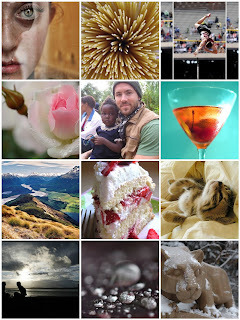 I actually do not have an active flickr account, so I've used my usual moniker. I tag Bayside Affair/Crystalliferous, Drunky McGamblingproblem Loves You, It's Words, A Stepford Wedding, and Schiver's Big Blog of Annoyances. Peonies was right, that was easy :) Please comment if you blog this; I'll link back to you!